﻿Gladiolus longicollis is native to South Africa. 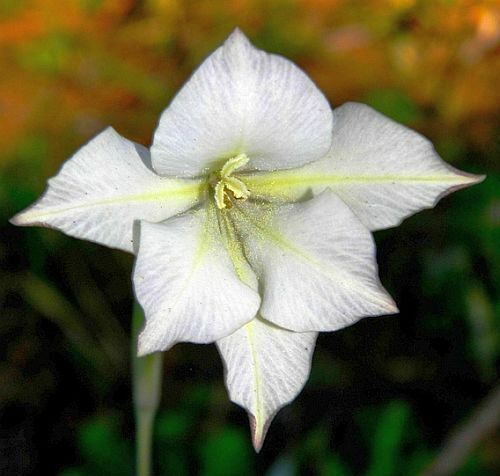 It has pale yellow to white long tubed flowers, sometimes with brown. The flowers are night blooming and sweetly scented.